Día de Muertos or Day of the Dead is a two day long celebration that occurs in Mexico on November 1st and 2nd. During this time, the Mexican people celebrate and remember their loved ones who have passed away. They believe that the spirits of these individuals return to be with their families during this time. Many people visit the cemeteries and decorate the graves with cempasúchil (marigolds) and velas (candles). In homes, people often build ofrendas or offerings for the departed souls. Ofrendas can be made up of any number of objects. 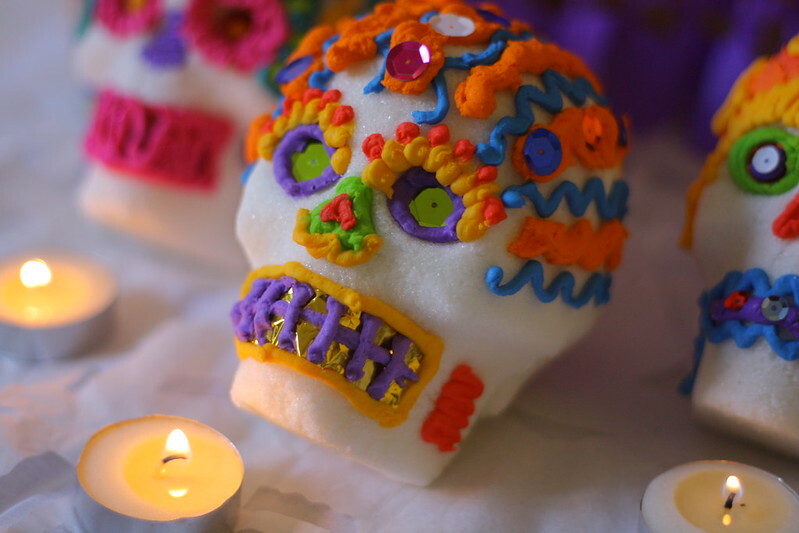 Photographs, candles, papel picado (cut tissue paper), pan de muerto (bread of the dead), and calaveras de azúcar (sugar skulls) are just a few of the objects you might find on an ofrenda. Calaveras de azúcar are sugar sculptures in the shape of skulls. They are often decorated with brightly colored icing, sequins, and foil, and they usually have the name of the loved one written on the forehead or on the back. They are an essential part of an ofrenda. Sugar art is actually a European tradition that was adopted by the Mexicans in the 18th century. 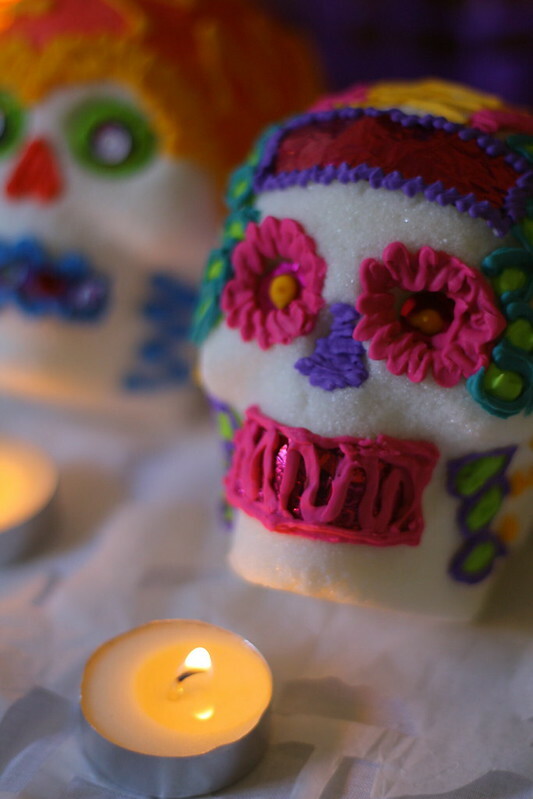 They began making sugar skulls as a result of the abundance of sugarcane in Mexico. Unfortunately, the art of sugar skull making is diminishing as this festive art form is being mass-produced more and more. 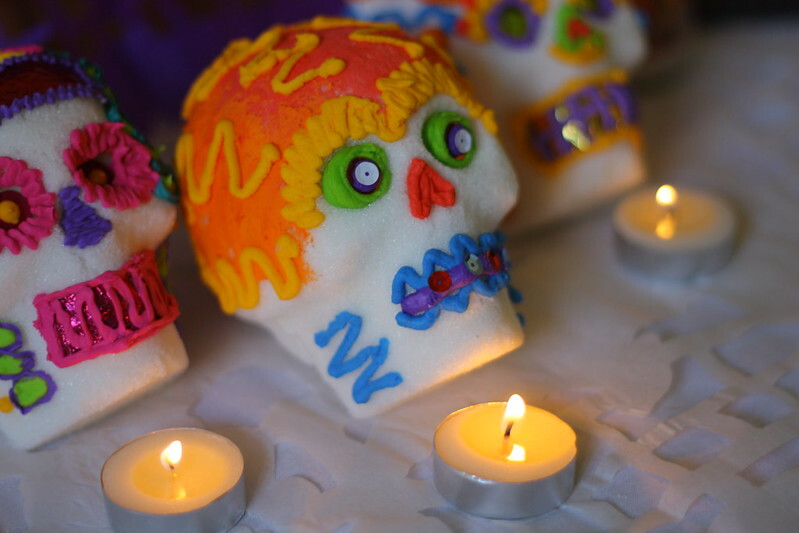 However, you can learn to make your own sugar skulls at home. I just celebrated Día de Muertos with my Spanish classes at school. We talked about the meaning of the holiday, and then my students got a chance to make their own calaverita. The process is very simple (but sometimes a little bit messy when working with high school students ;), and the results are beautiful. 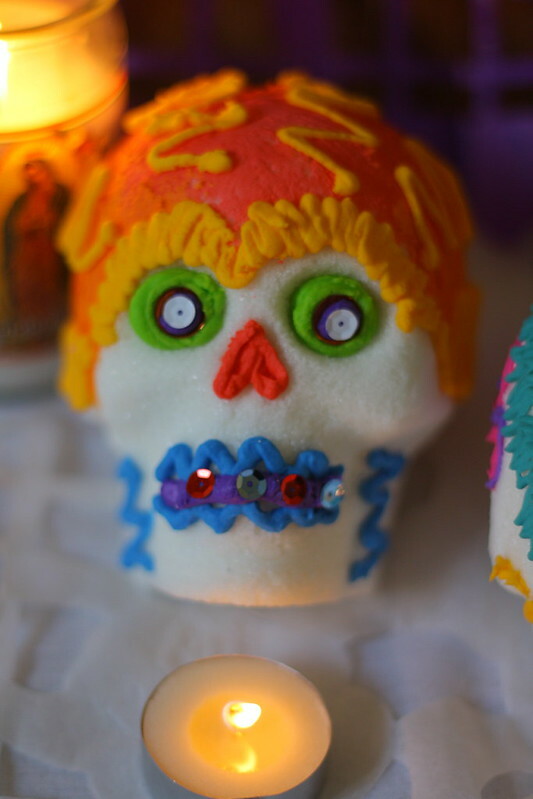 Each calaverita has its own personality and adds a burst of color to the ofrenda. Have you ever celebrated Día de Muertos? What did you do to celebrate? You can click on the links below in the recipe to see the various steps of the sugar skull making process. →Pour sugar and meringue powder into a large bowl. Using your hands, toss the ingredients together. →Add the water. Continue to mix with your hands making sure that every bit of water moistens all of the sugar. You will know when the mixture is ready by making a fist to squeeze the sugar. If the sugar holds its form when release your fist, the sugar is perfect for making a skull. It will feel like cool, moist sand. →Using your hands, begin to pack the sugar into the face side of your skull mold. Make sure to press the sugar into every crevice so that your skull has nice definition when released. Scrape the flat side of the skull smooth with a knife. Then, take a piece of sturdy cardboard and turn the sugar skull onto the cardboard. →Repeat the step above for the back side of the skull. →Let the skulls dry for 4-5 hours before handling them. After this time has elapsed, carefully pick the face side of the skull up, and hollow out a well in the back using a melon baller. Be sure NOT to hollow out any part of the neck. Then repeat with the back side of the skull. Let the skulls dry for an additional 20 hours or overnight. →In order to connect the face side and back side of the skull, pipe white royal icing around the perimeter of the back side. Gently press the two together until the skull is sealed and firm. →Decorate the skull as you would like with colored royal icing, sequins, cut foil, glitter, feathers, etc. →Mix water, meringue powder, and powdered sugar with a stand mixer until icing peaks (about 9 minutes). Do NOT mix more than 2 lbs. of sugar at a time. Keep the icing in a tightly covered container or bag until ready to use. Do NOT refrigerate. 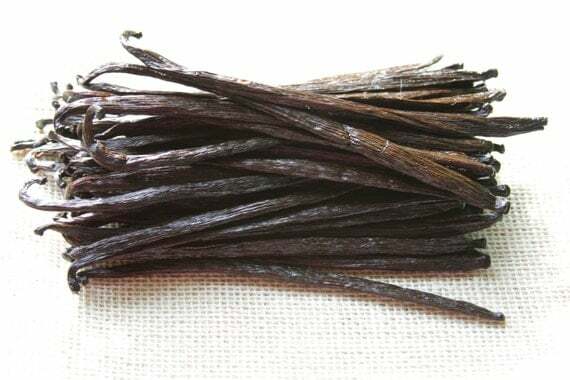 →Spoon the desired amount of icing that you would like to tint into a separate bowl. Add a “toothpickful” of gel food coloring. Mix until the color is dispersed throughout. Place the icing into a pastry bag with or without a pastry tip. You can create about 6-8 colors per batch of icing.